This image was made of images taken with two different lenses. 31 images were taken with Canon EOS 5D quipped with 1 m focal length lens a 23 images were taken with Phase One P45+ equipped with 2 m focal length lens. The insufficient number of images taken with Phase One P45+ (especially longer exposures) made me to create rather complicated composition. The low spatial frequencies were taken from Canon images and high spatial frequencies for Phase One images. 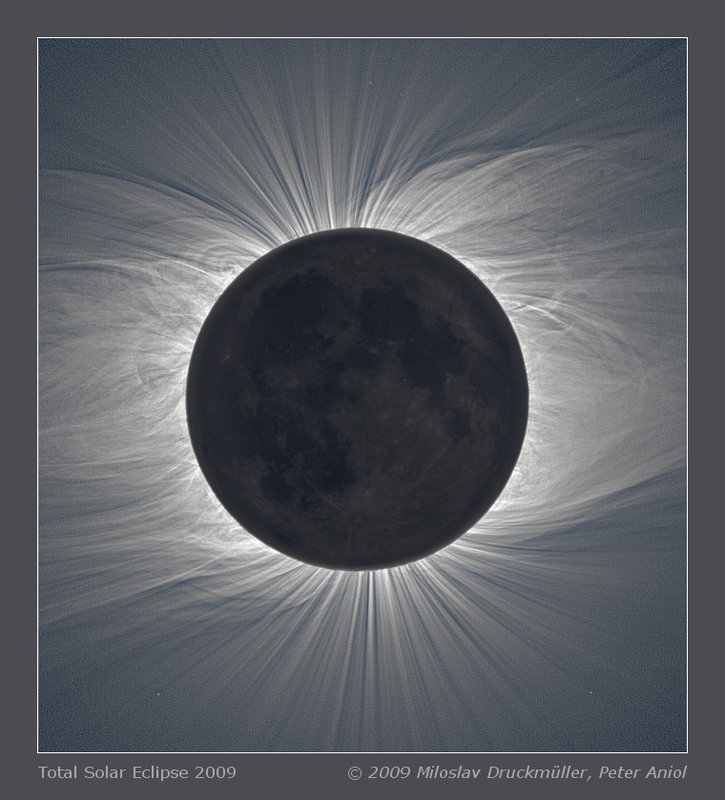 This procedure enabled to overcome problems caused by clouds which influenced a lot of images taken during the totality. The position of the Moon represents the situation 139 seconds after the second contact, i. e. 03:30:58 UT (15:30:58 local time). Click on the image or on the following reference to display the higher resolution image version (3.8 MB, PNG format). 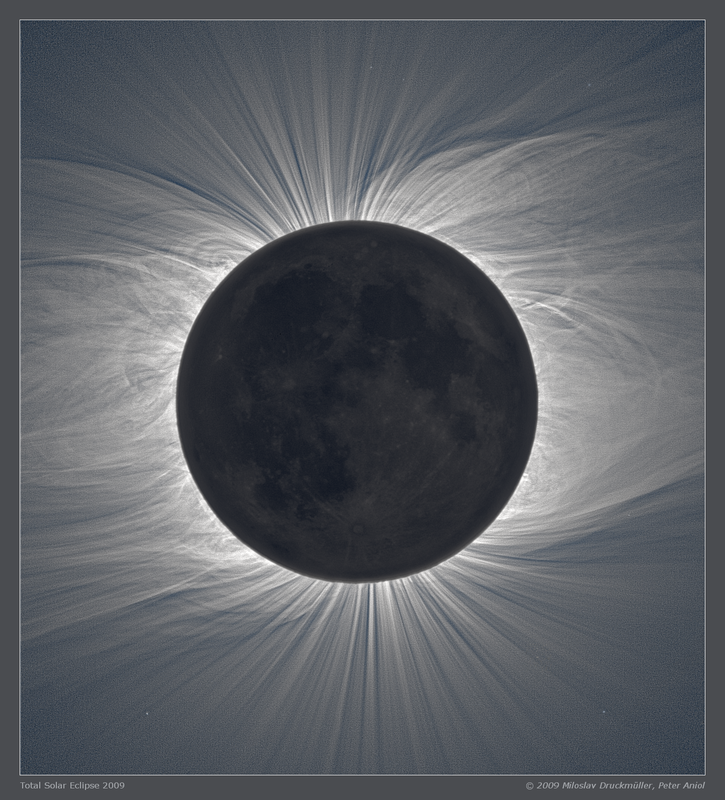 Processing Composition of 31 eclipse images taken with (1) and 23 images taken with (2). Orientation Image must be rotated 1.98° clockwise to achieve standard orientation i. e. North up.